No matter where you are in Eastern Pennsylvania, you can participate in the various Tail on the Trail challenges! 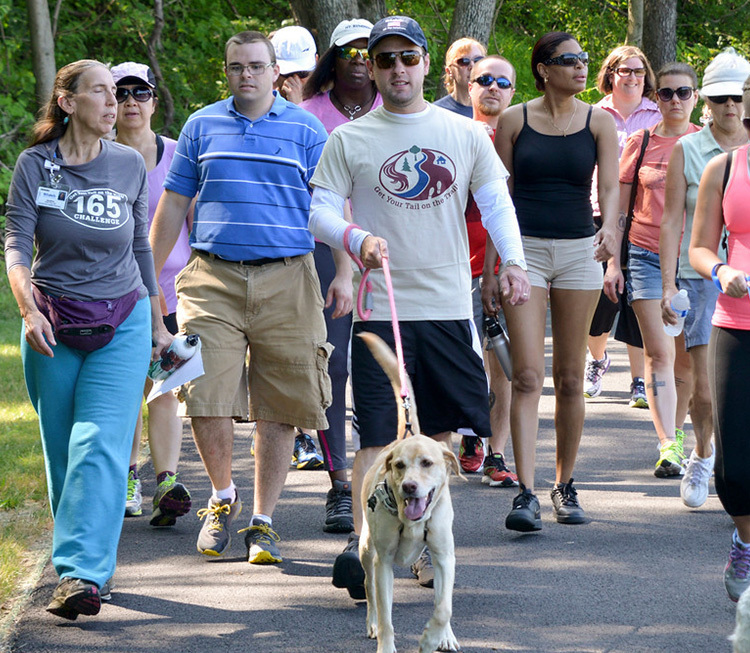 Created in 2013 by St. Luke’s University Health Network (St. Luke’s) and the Delaware & Lehigh National Heritage Corridor (D&L) in eastern Pennsylvania, Get Your Tail on the Trail is a free program aimed at helping people of all ages and abilities meet their personal fitness goals and experience the outdoors on local trails via day-to-day challenges, public events, and motivating prizes. In 2015, Tail on the Trail received national recognition when it received the Trails for Health Award from American Trails in Portland, Oregon. That same year, the program caught the attention of the Washington Post. In 2018, the founders offered a chapter program to help like-minded trail and health organizations build programs in other regions. Discover your map to healthy fun.